Sometimes as life goes on, we encounter gems while we're not searching. Other times though, fate dictates we miss precious longing and regret will encapsulate us. Every year, Addiction comes out with a holiday collection with several sets or items. 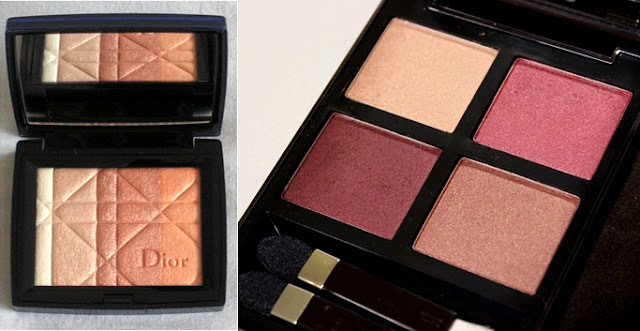 This year I had my eyes on this kit which inclues a palette, a nail polish and tinted lip essence. It went public on 4th Dec, but the pre-order began in November. When my mum reached the counter on the 19th Dec, the BA disappointedly said it is sold out everywhere. I only read about this Elixir set from a blog after my mum set off. 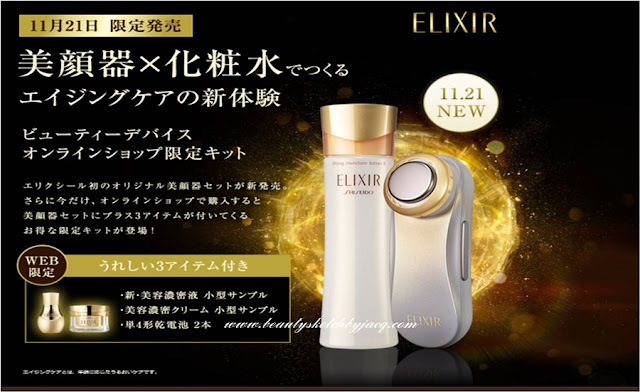 For 13,000 yen, you get a lotion (moisturising toner) and a device which looks like it will boost absorption. It is sold online as well as in different retailers, with different travel size products included. The price is so appealing we had no chance getting it. My mum is returning tomorrow so, hopefully, she may bump into one or two sets in any pharmacy or beauty stores she set her foot into. Are there beauty products you wish you had before they were sold out or discontinued?